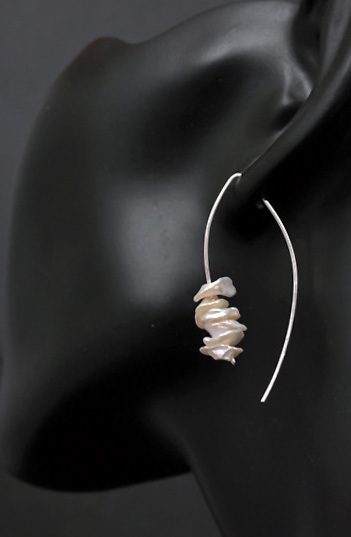 Keshi freshwater pearls .... Shapes vary widely. !00% nacre in composition. High in luster and a shimmering surface quality. A bi-product of the culturing process, and not a natural occurrence. 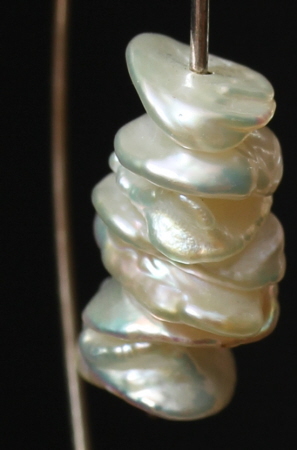 Today, Keshi pearls are much more rare. Light as a feather and simple in design. Earwire hand formed using 20 gauge argentium wire, hammered flat at bottom, front, to hold the pearls. 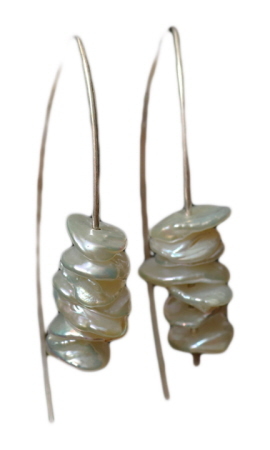 Earrings measure 1½ inches in the front and 1¾ inches in the back. Each weigh less than 0.1 oz.